We are all familiar with the deliciousness of tater tots. But the high amount of carbs and fat in a traditionally fried tater tot can make those tiny little tots rack up some serious Weight Watchers Points pretty quickly. So by using zucchini instead of potatoes and making a few healthier alterations, my zucchini tots are the perfect alternative. 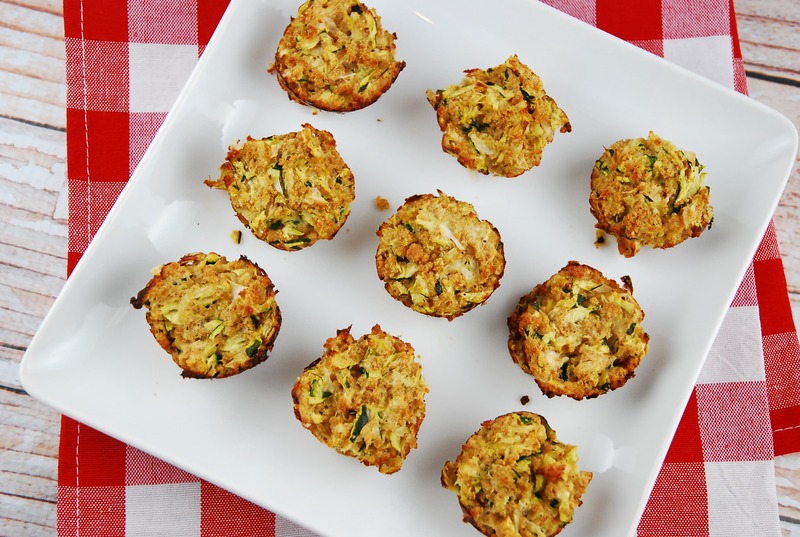 Delicious, nutritious and a very kid friendly dish (because they are super cute). You can serve it as a side dish to your favorite sandwich or wrap, or prepare it as an after school snack that both you and the kids can enjoy. Double the recipe so you can freeze some extra to have on hand for when you want a healthy snack in a pinch. They also make a great Weight Watchers appetizer recipe! This healthier take on a tater tot uses zucchini instead of potatoes, and is given a flavor boost with Parmesan cheese. Tasty, kid friendly, and low calorie, this Weight Watchers recipe offers a great way to get in more veggie servings. Preheat oven to 400 degrees. Spray a 24-cup mini muffin pan with cooking spray. Place shredded zucchini in a cheesecloth or thin dishtowel and squeeze out as much water as possible. Add zucchini and remaining ingredients into a medium sized bowl and mix well. Spoon zucchini into muffin pan (I was able to fill about 18 cups) and bake in oven for about 15 minutes or until golden brown. Remove from oven and let cool at least 5 minutes. Using a small spoon, run it around the edges of the zucchini tot to help break the tot away from the pan, and then gently scoop it out. I feel bad writing this because I love all of the recipes that I’ve made from your site! These were too mushy, wondering if they would’ve worked better flat so they would get crispier throughout. Your site has helped me with many dinners and I feel good about feeding my family! I don’t have time to count everything and figure out calories and points so your hard work is much appreciated! Thank you!!! Too wet. I had to bake them on their sides for another 15 minutes. They needed more flour or bread crumbs. Am I the only one having trouble saving any more recipes????? Seriously? 2 large zucchini? Is that 3 cups or 5 or 6 or 9?????????? ?